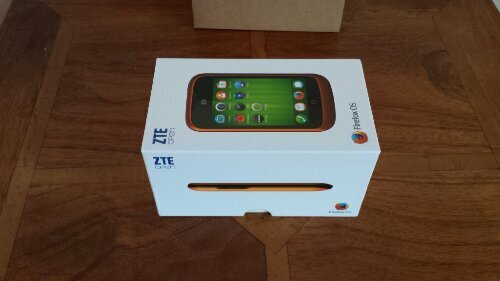 The ZTE Open was available on eBay. I posted details on Sunday, click here for the specifications and more. So it arrived. Below are the unboxing photos. 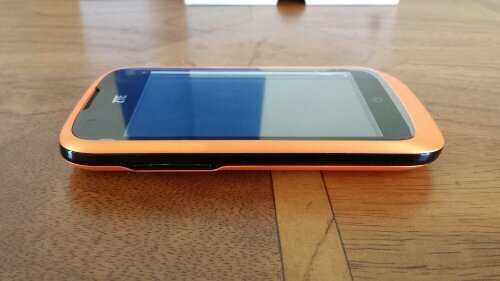 Opening the box reveals the orange phone. Under the phone is the accessories and guides. And a quick look at the phone profile. First impressions are this is such a basic phone but it works just. Setting up Google email was fine but it didn’t setup the calendar or contacts. The calendar app had an option for Google but it didn’t work. Contact app was manual add a contact, import from Facebook or sim card. Luckily, there was a free app on the market place that imported my contacts but there is no two way sync. Apps. The market place is a poor currently. I’ve installed the twitter app. BUT. The phone doesn’t need apps. It’s Firefox OS. Swipping left to right reveals loads of headings, each with all the key website shortcuts saved eg YouTube, amazon, eBay, WordPress, LinkedIn and loads more. 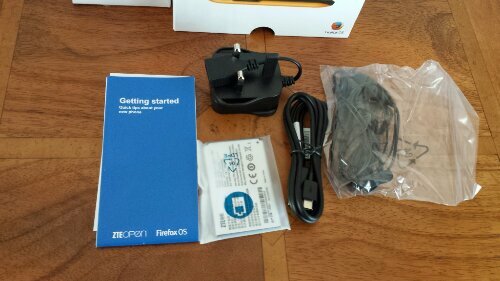 Firefox OS is a Web based device. The phone comes pre installed with Firefox Web browser, video, music, FM radio, camera, calculator, usage, Nokia Here Maps, accuweather, notes, Wikipedia and clock apps. It read the music from my micro sd card with ease along with the album art. The loudspeaker is not loud but is clear. The notification pull down also provides access to settings toggles for wifi, data, bluetooth, aeroplane mode and all settings. It takes a full size sim card, so I need to get an adapter before I can test it out as a phone. It’s basic but quirky nonetheless. Update. Rebooting phone, and Google Calendar was all setup. Interestingly, in the settings it checks for updates daily. It looks like TouchWiz but with round icons. Bleh.